It is 15 years since the signing of the “Abuja Declaration”. This landmark declaration, signed when Nigeria hosted an African Health Summit, saw all leaders from across the continent commit to spending 15% of their annual budgets on the health sector. Sadly 15 years later, successive governments have failed to deliver on the Abuja promise. We are officially launching a health campaign; Make Naija Stronger, that we believe will draw the Nigerian government’s attention to the need for improvements in the health sector through increased investment. You may be wondering why we have chosen to focus on health at this point. The answer is clear, despite being Africa’s biggest economy Nigeria proportionately spends very little on the health of its citizens. Only 4.37% of the national budget in Nigeria is allocated to health. The highest amount the Government has allocated to health since 2001 is 5.95% of the national budget, and this was in 2012. The poor allocation to the health budget is reflected in its health outcomes. Nigeria has been rated as one of the worst places in the world to be a child, infant or mother. Every year 58,000 Nigerian infants catch HIV from their mothers (26.3% of the world’s total); 750 000 Nigerian children die of preventable or treatable diseases (12.7% of worlds total) and 58,000 Nigerian mothers die in pregnancy. All hope is not lost; President Buhari and the new Nigerian government have a historic opportunity to change this. By increasing health funding and further committing to transparent implementation of the budgets with particular focus on women, they can help save millions of lives, create a more prosperous nation and start to deliver on the promises made to the Nigerian people, and show other African governments the importance of real leadership. Honour the promise made last year to fund the Basic Health Care Fund, set up by the National Health Act, with additional funding of 1% of the Consolidated Revenue Fund (CRF), and to do this within the 2017 budget. Also to set a timetable to achieve the Abuja Declaration commitment to allocate at least 15% of the annual budget as funding for health by the end of the term of this government in 2019. Ensure allocated resources benefit all women and girls, particularly the poorest and the most vulnerable. Ensure transparency in the public health procurement processes by disclosing all procurement documents including signed contracts, bids analysis and names as well as award decisions and justifications. Step up funding for nutrition in the 2017 budget in line with the national nutrition strategy. 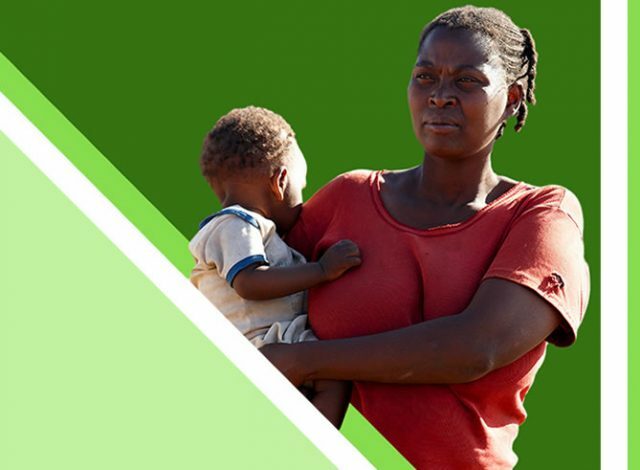 Promote coordination in the implementation of the nutrition strategy at all levels of government especially between the nutrition sensitive ministries. As we commemorate the 15th anniversary of the signing of the Abuja Declaration, it is time for the Nigerian government to commit to do better. It’s time this government guarantee resources and better spending to ensure Nigerians, including the poorest, are able to access health care. By taking action now, we can help save millions of lives and create a healthier, more prosperous and secure nation. Together we can Make Naija Stronger! Join the movement of people who are demanding better from the Nigerian government, sign the petition.